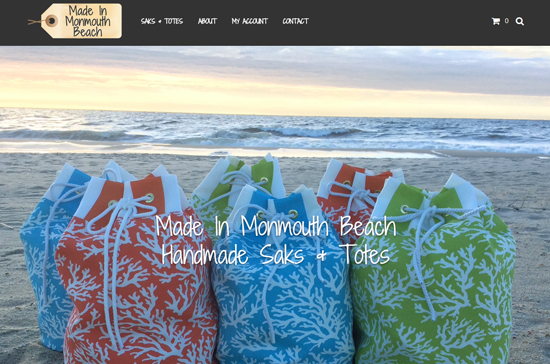 We are happy to announce the launch of the website for our friends at Made In Monmouth Beach. They are a local company based out of Monmouth Beach, NJ that designs and creates beautiful handmade saks and totes. Check our their website at www.madeinmonmouthbeach.com.